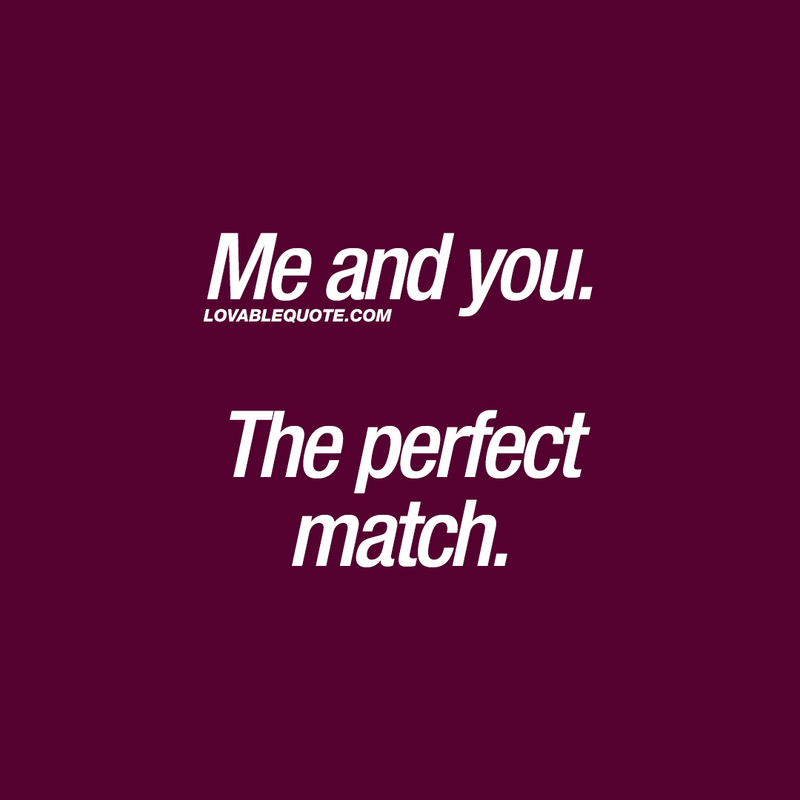 You and me quotes: Me and you. The perfect match. Me and you. The perfect match. You know that feeling when you meet someone that is JUST PERFECT for you? When you meet someone so amazing that he or she makes you feel like you are the perfect match? This quote is all about that. Send or share this perfect match quote to someone amazing today! This “Me and you. The perfect match” quote (text and image) is copyright © Lovable Quote 2018.